Have you ever looked out into the faces of the your students to see blank stares, wondering eyes, fiddling fingers, or students snoring? I think it happens to all of us! 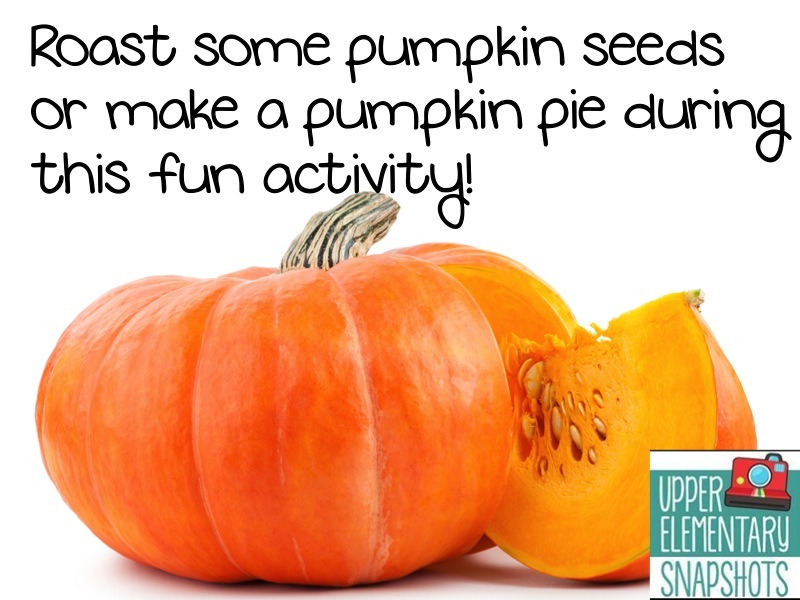 Also, do your students want snack time right after they walk in the door? 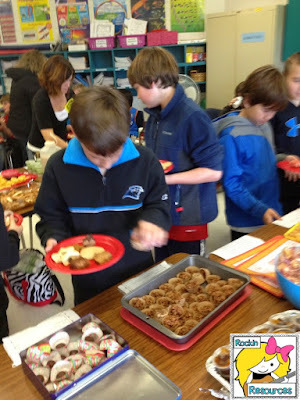 Do you find someone sneaking their snack or part of their lunch during class? 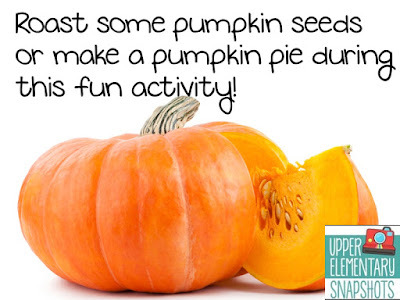 How about this....do you get hungry throughout the day and want to sneak a snack? I know I do! 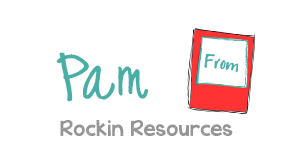 Click to see a Chocolate History Webquest, a Chocolate Opinion Writing, and a Chocolate Grouping Freebie! 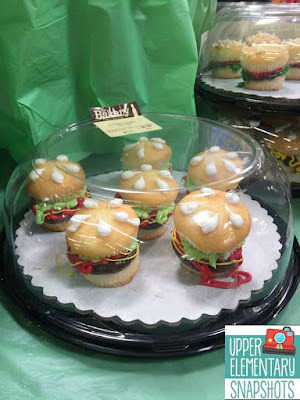 Of course since my passion is writing, I love serving hamburgers when teaching paragraph writing, but if you are a sweet freak, you will love the fact that Walmart sells hamburger cupcakes! No lie! I was just there today and you can get some loaded or unloaded (just ketchup and mustard icing) hamburger cupcakes. Here is a pic of a loaded hamburger. 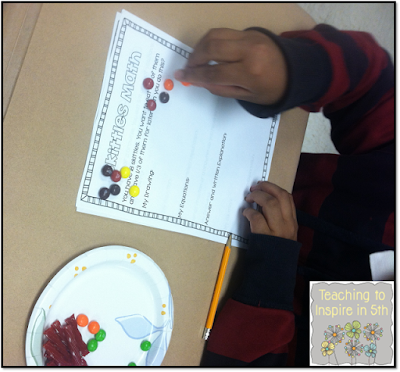 Use skittles for a character traits lesson! Make sure you have extras to taste! 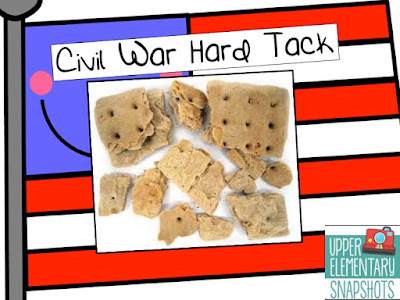 See Jennifer William's post on how she uses snacks to teach fractions! Fraction Fun with Snacks. I've also seen fractions done with Hershey Bars, Kit Kat Bars and Pizza! Make sure there are extras to taste! 1. Appoint roles to three students (King of England, representative from Parliament, tax collector). 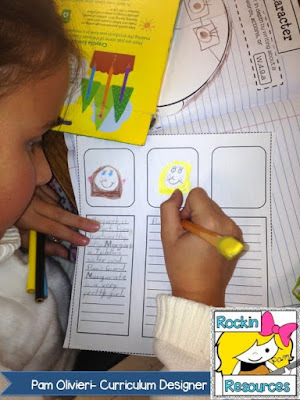 Have them sit facing the rest of the class in the front of the room. 2. Give each student at their seats one snack pack of M&M's. Tell them they are not to eat the M&M's until the end of the activity. (Have an extra pack for each student) The M&M's represent money and they just got paid for their jobs. However, they need to put some aside for taxes! 3. Start naming off things that will be taxed (wearing shorts, necklace, hat, holding a pen, whatever). You can even tax more than one M&M for an item. This is when the students get fired up for losing their M&M's! 4. 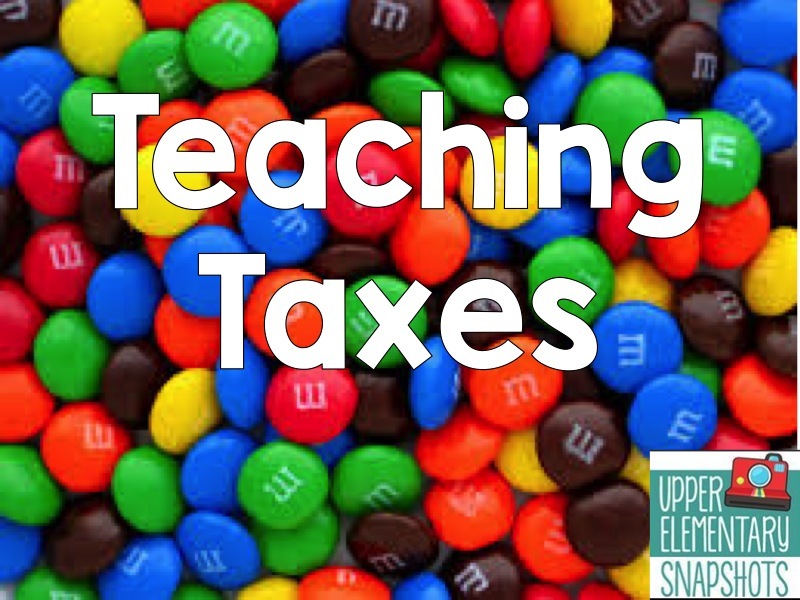 Together, count up all the M&M's collected for taxes. Then divide it- tax collector 10%, 50% representative from Parliament, 40% to the king. 5. Discuss feelings over losing money to these people! 6. Then pass out extra pack to eat! Wahhhlaaaaa! 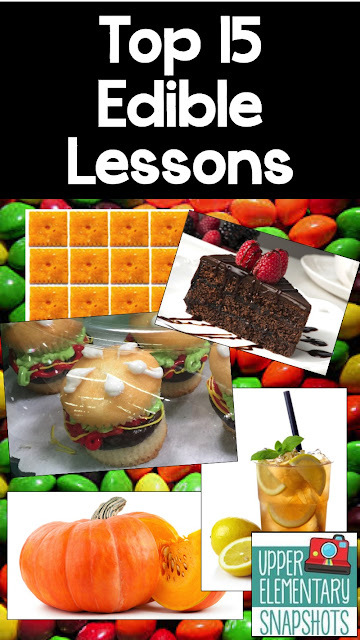 Fun eating and learning! 8. 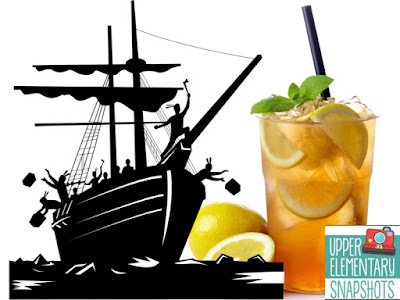 BOSTON TEA PARTY AND SWEET TEA! 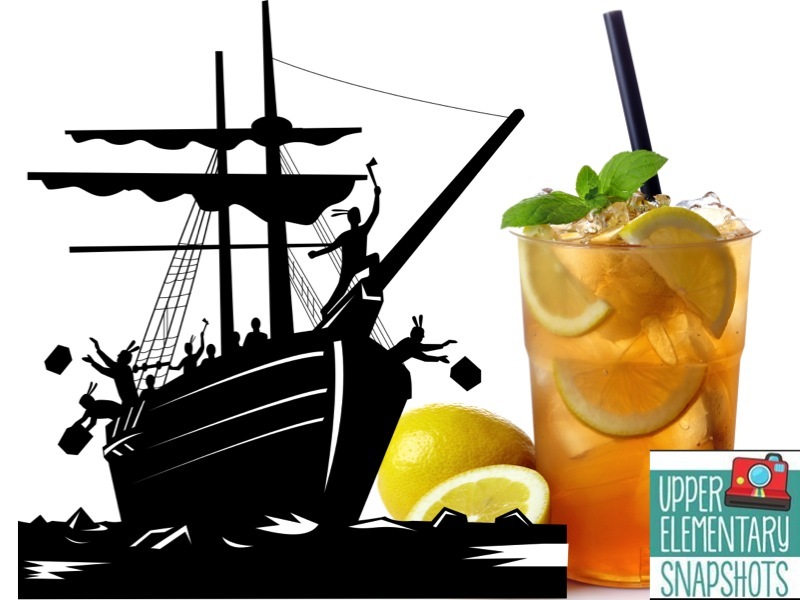 When studying the Boston Tea Party, don't forget to serve some tea! Of course I live in the south and that is what we drink here. You can always serve hot tea or unsweet tea! Genius right? I've seen this on Pinterest and Google. 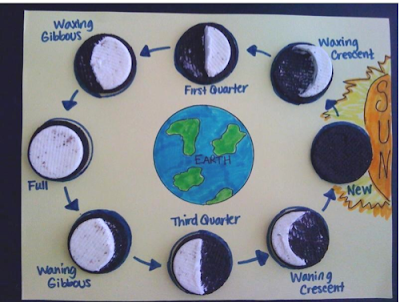 What a fun way to teach the moon phases! This picture is from Mr. Benson's Science Classroom. 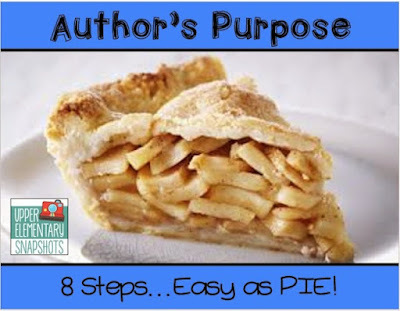 Bake a pie with this awesome lesson! In the book, Bunnicula, Harold the scruffy dog loves chocolate cake. Why not make a chocolate cake and give everyone a piece? You will find food in most books so take advantage of it! 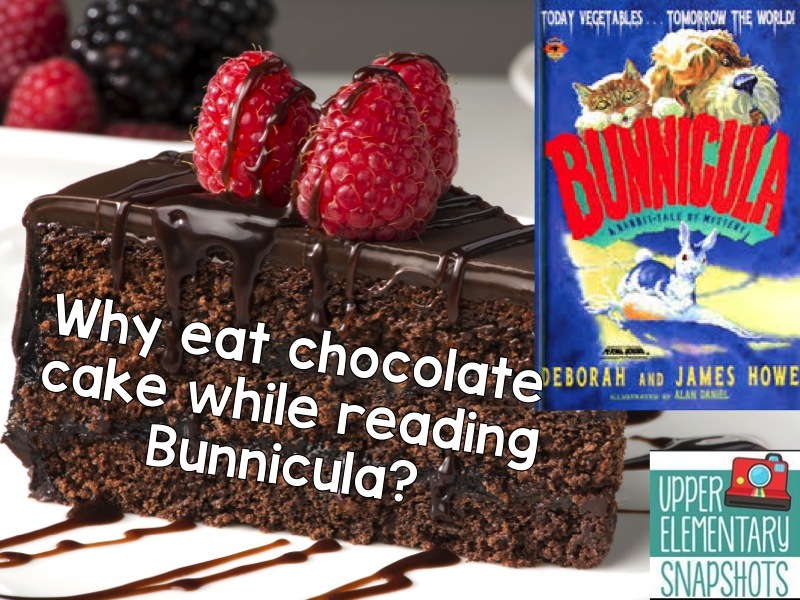 Before you know it, every time you read a book, one of your students will ask if they could bring in a snack to represent it! 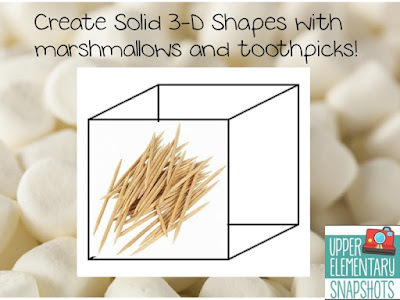 All you need are marshmallows and toothpicks! Students create cubes, prisms, and pyramids. 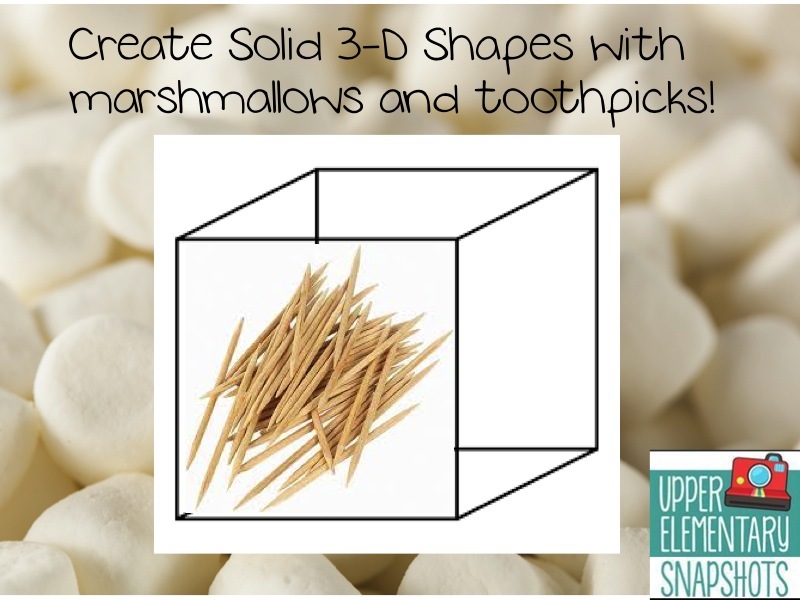 See how large you can make them! Make sure to have extras for munching! 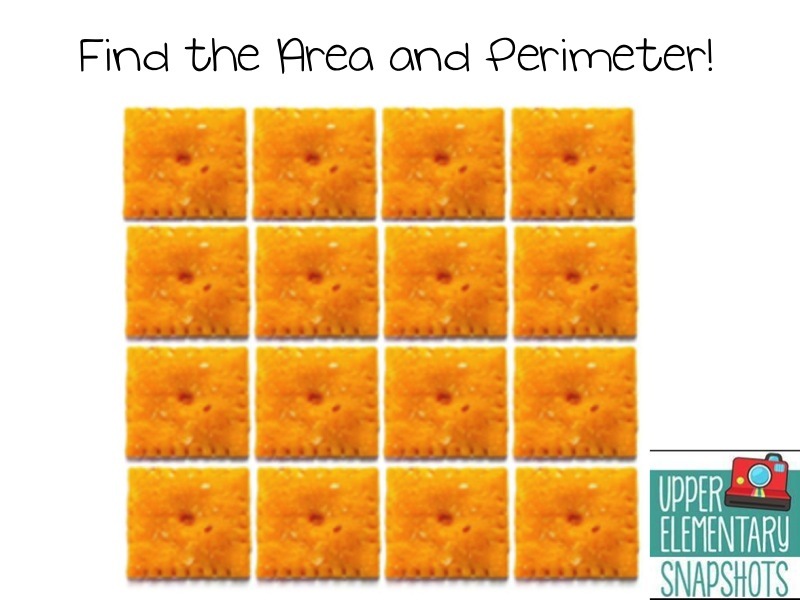 In order, have students create squares, rectangles, and irregular polygons using Cheez Its. 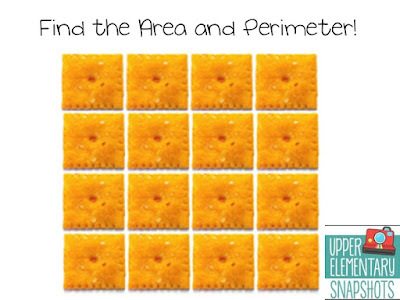 Require them to indicate the area and perimeter each time. Differentiate: Assign students (who are ready for a challenge) an area and perimeter and ask them to construct the mystery shape! Don't forget to give them extras to taste! Or...simply use food as a motivation to achieve a class goal! Reach an academic goal and get a taco party or reach a behavior goal and get an ice cream party or reach a fundraising goal for a pizza party! Yum! I think I am ready to go munch on something...maybe some chocolate for my sweet tooth? What is your recipe for success?